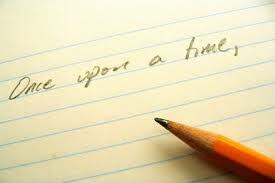 I love to write and always have. I’m not sure why, although I’m certain being an avid reader who grew up in a household of avid readers who constantly encouraged me to write down my ideas, thoughts and feelings contributed to that. I’ve also spent much of my career writing in, on and about education, so I think a lot about how to encourage and improve the writing process for young students who are increasingly asked to write cogently in all disciplines. When I think back to the writing instruction I received in school, and to the formal writing education of my own children, I’m struck by the similarities that spanned generations: Start with a pre-set structure (topic sentence, support, support, new idea topic sentence, support, support, conclusion), plug in ideas backed up with a few examples, repeat the main idea, exit. Students who have the great fortune to be eager and skilled readers likewise have the great fortune to easily bring to that standard structure a sense of the flow, the rhythms, the color and possibilities of language. (I should add that both of my children, now young adult professionals, are engaged in various ways in writing for a living.) But what about students (and adults!) for whom writing doesn’t flow so easily? As you might guess, I am a writing structure skeptic. I think it’s important to impart to young students the underpinnings of good writing–rich vocabulary, grammatical sentence structure, overall beginning-middle-end story structure–in the same way that one has to learn the alphabet while learning to read, and to count when learning to do arithmetic. But then I think it’s important to let students play with writing in the same way that we let children play with finger painting before picking up a brush and palette. This notion was reinforced for me recently by a piece in the New York Times (http://opinionator.blogs.nytimes.com/2013/01/21/outlining-in-reverse/) by novelist and writing instructor Aaron Hamburger, who describes his own process of “outlining in reverse.” That is, instead of laboriously constructing an outline before writing, as is often required in the classroom, Hamburger first gets his ideas down on paper, and then constructs an outline using those pieces as the building blocks. The essay resonated with me, because that is and has almost always been the process I use when writing, no matter the topic or length of the piece. As I write this blog post, I am indeed laying down my ideas spontaneously, and then re-shaping and re-ordering them as I go. Such a process does not reflect an abandonment of rules and best practices. In fact, I would argue that it requires and encourages that underlying structural rules and practices be hardwired, eventually guiding a writer as effortlessly as repeated workouts at the barre ultimately guide the muscles of an experienced dancer. What implications does a less structured approach to teaching writing have for the classroom? How can educators simultaneously encourage experimentation and full engagement, while also imparting necessary rules and structures? Please share your thoughts, and I’ll respond in a future post.